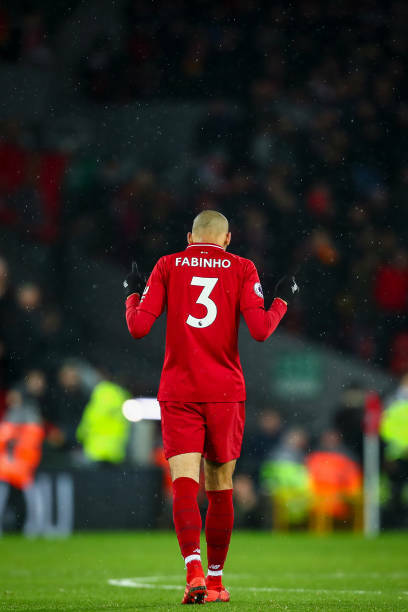 Fabinho has been forced to play at centre-back in Liverpool last two matches due to the number of injured players at Anfield. Joe Gomez [ankle], Trent Alexander-Arnold [knee] and Dejan Lovren [hamstring] are all currently sidelined, while Joel Matip is yet to feature since returning to full training after a fractured collarbone. Jurgen Klopp could play Fabinho in defence again on Saturday when Crystal Palace visit Anfield, while James Milner remains another option for the Red boss. "Some weeks ago, I knew this could be an option because we had some players out injured and we only had two centre-backs available. "When Dejan got injured, I knew it would be logical that I'd play in that position. "I had some training sessions playing in that position, which helped me adapt better and pick up certain aspects, like positioning and movements you need to be natural at to play in this position. "In the last game against Brighton, I think I played well. Playing alongside Van Dijk helped, he's really vocal, he guided us. He helped me a lot. "In this position, which I haven't played in a lot, I think I adapted well. There are some aspects, such as positioning, that I need to improve on. "If I were to play in this position more, I'd improve on these things, but that's natural."